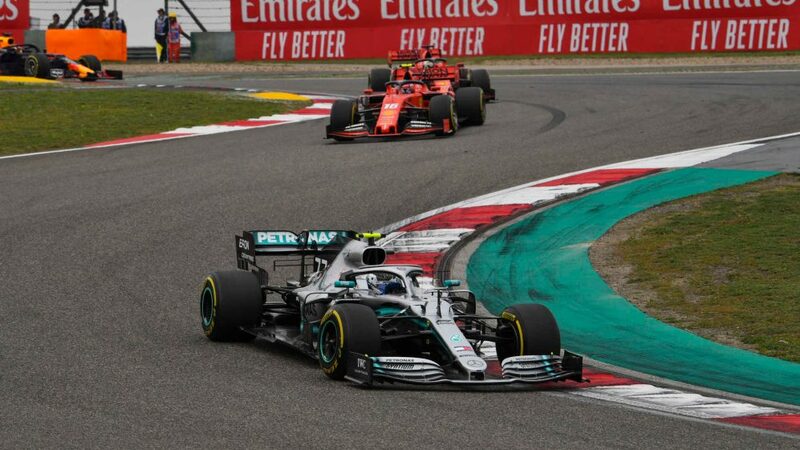 Valtteri Bottas made his sole pit stop for Mercedes – it gave him the lead and when the unfortunate Vettel tried to overtake at Turn 1 on the restart, the German out-braked himself and instantly dropped out of the podium places. But within a lap, Bottas was also robbed of victory after running over debris and picking up a puncture – it handed the win to team mate Lewis Hamilton, whose triumph over Kimi Raikkonen gave him the championship lead, as Force India also celebrated with an unexpected podium for Sergio Perez. Vettel trailed home fourth, ahead of Renault’s Carlos Sainz, with rookie Charles Leclerc an incredible sixth for Sauber – his first F1 points. 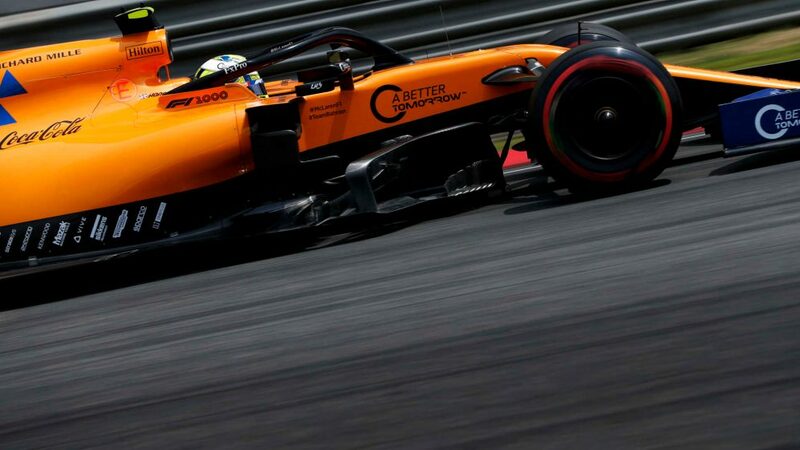 The McLarens of Fernando Alonso and Stoffel Vandoorne were seventh and ninth, split by Williams’ Lance Stroll, with Toro Rosso’s Brendon Hartley getting his maiden point as he completed the top 10. There had been drama from the off at the race start, with Force India’s Esteban Ocon and Williams’ Sergey Sirotkin both eliminated – Ocon went into the wall after contact with Raikkonen as the Ferrari tried to pass at Turn 3, while Sirotkin ran into the rear of the sister Force India of Perez, before getting pinched between Alonso’s McLaren and Nico Hulkenberg’s Renault. As Alonso limped back to the pits with two punctures, the Safety Car was sent out to allow the stricken cars and debris to be cleared. It returned to the pits at the end of lap 5, and then for most of the afternoon pole-sitter Vettel was very much in control, in front of Bottas and Hamilton. Behind the leading trio an enthralling cat-and-mouse battle between Verstappen and Sainz for P4 began to light up proceedings. 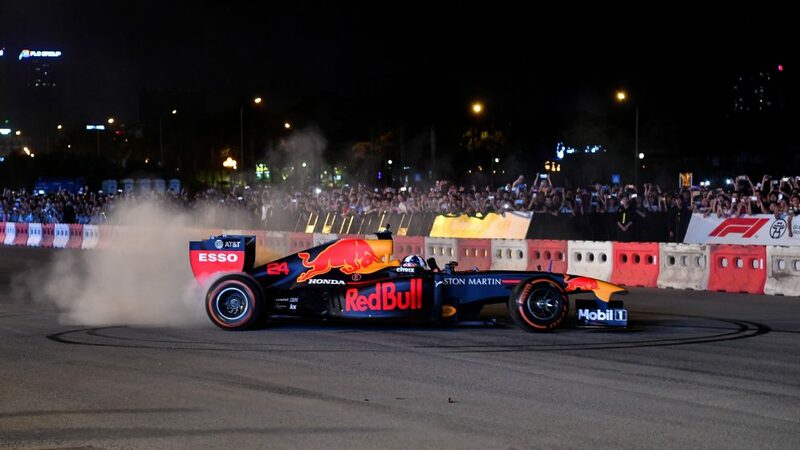 The Red Bull prevailed initially to hold the position, but it wasn’t long before Sainz came out on top, picking off Verstappen down the pit straight to move into the top four. In a further blow to Red Bull, Nico Hulkenberg then breezed past Ricciardo and Verstappen to move into P5, in what was shaping up to be a very good afternoon for Renault. The German, however, went from hero to zero when a lap 12 lock-up sent him crashing out of the race – the second year in a row he has suffered that fate. By this stage, Vettel’s lead over Hamilton was just over three seconds. 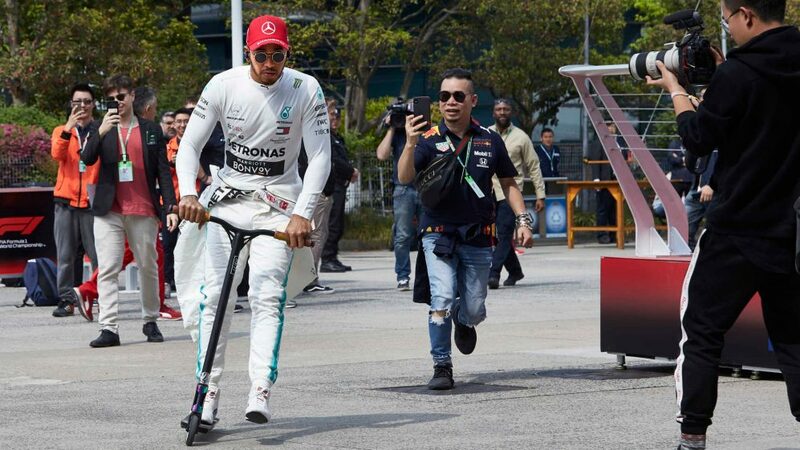 The Briton admitted prior to this race that Mercedes lacked pace this weekend, but the Silver Arrow was keeping within sight of the Prancing Horse. Behind the race leaders, the Red Bulls continued to squabble for P5. They first made contact on lap 14, with Verstappen refusing to give team mate Ricciardo - last year’s Baku winner - any space and the pair were close to driving each other off the track on numerous occasions. They came out unscathed this time, but that wasn’t the end of the tale. Hamilton, meanwhile, was continuing to chase down Vettel and the question became who would roll the dice first and pit in what was expected to be a one-stop race – Mercedes or Ferrari? 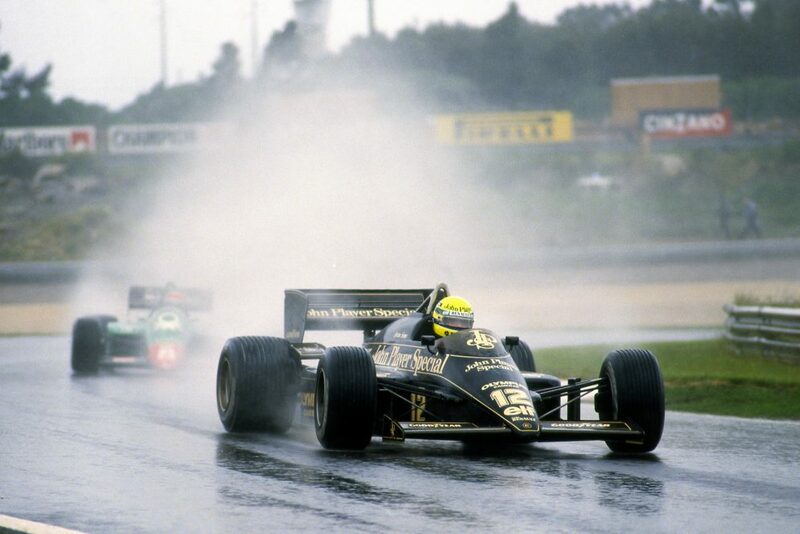 In the end it was the world champion who was first to come in, returning to the track in P3 ahead of Verstappen. Vettel was then brought in seven laps later, shod with soft tyres. That allowed Bottas to lead the way, with Mercedes opting to keep the Finn out for as long as possible. 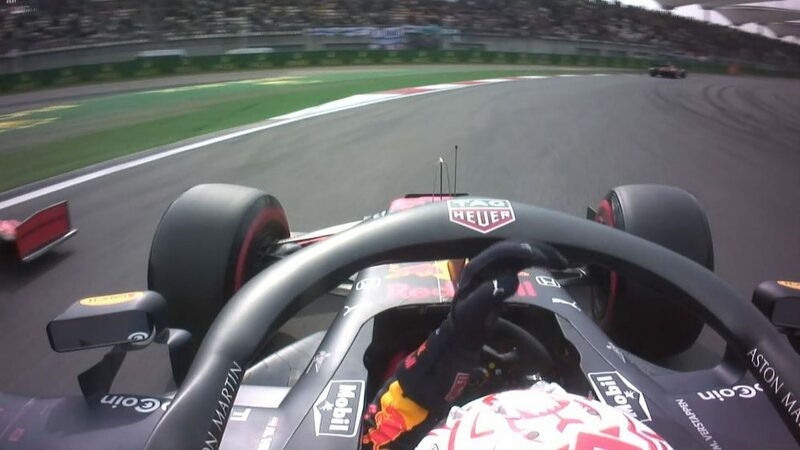 Disaster then struck for Red Bull, when a frustrated Ricciardo clattered into the back of Verstappen as he tried to slipstream past on the run to Turn 1. The Dutchman appeared to have the inside line, and the Australian ploughed into the rear of his team mate, with wreckage everywhere. Technical chief Adrian Newey walked away from the pit wall in disgust. 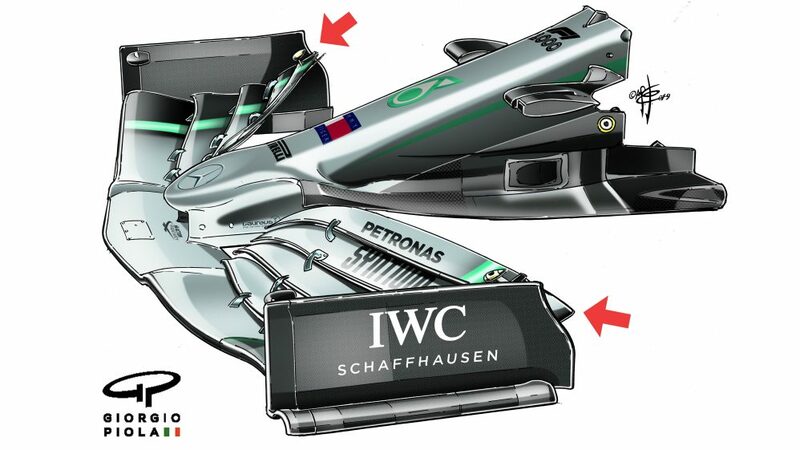 So, would this turn the race in Mercedes' favour? The Safety Car was deployed again, giving the Silver Arrows an opportune chance to put both Bottas, in for his first stop, and Hamilton on fresh ultrasoft tyres. Ferrari also replicated that strategy with Vettel - putting Bottas into the lead. But if you thought this race couldn’t get any more chaotic, you were mistaken - Romain Grosjean somehow crashed under the Safety Car while trying to keep the tyres warm on his Haas. The action resumed with four laps to go, and things immediately got even worse for Ferrari. In a desperate bid to regain the lead, Vettel dived down the inside at Turn 1 but suffered a huge lock-up, dropping all the way down to fourth and allowing Hamilton to move into P2 and Raikkonen P3. There was one final piece of drama, though. 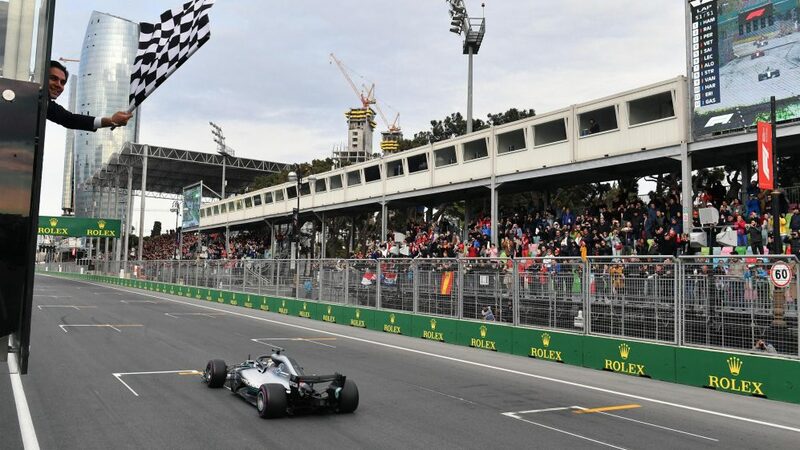 With victory seemingly his, Bottas ran over a piece of debris on the track, suffering a puncture and allowing Hamilton to cruise to his first Grand Prix victory this season. It means the Briton now leads Vettel in the driver standings, 70 points to 66, with Raikkonen third ahead of Bottas, 48 to 40. In the constructors' stakes, Ferrari have retaken the lead on 114 points to 110. The stewards still have plenty of work to do post-race - Raikkonen and Ocon's coming together on lap 1 remains under investigation, as does the Red Bull's collision. 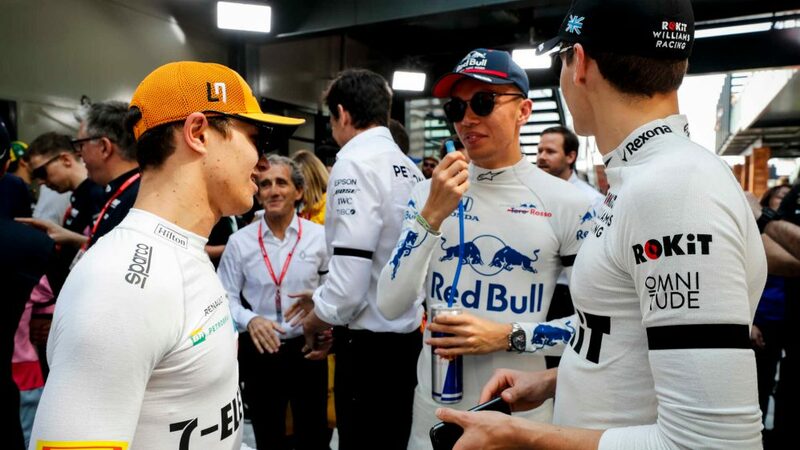 The biggest questions, however, will be those being asked at Red Bull, and in particular whether their decision to let their drivers continue to race at such close quarters was a wise one..
Perez has broken the Mexican record with an eighth career podium on the same circuit in which he scored his seventh top-three finish. Pedro Rodriguez had previously held the record since the 1971 Dutch Grand Prix. In the last 38 Grands Prix, the only podium finishers from outside Mercedes, Ferrari and Red Bull have all come in Baku (Perez in 2016 and 2018, Stroll in 2017). After a relentless race in Azerbaijan, the teams and drivers will have a chance to regroup before round five of the championship in Spain. We’ll bring you all the action from Barcelona from May 11-13.